Ph.d., Dr. habil. theol. & phil. Kierkegaard readers are familiar with his dogged polemic with Hegelianism, his critique of Friedrich von Schlegel’s Romantic irony, and his visit to Schelling’s lectures in Berlin. However, these are only a few well-known examples of a much deeper relation of influence and inspiration. Kierkegaard read German fluently and was interested in many different authors and thinkers from the German-speaking countries. The auction catalogue of his personal library reveals a wealth of works in German from a number of different fields. Given his famous criticisms of the Hegelians, Schlegel, and Schelling, one might be tempted to believe that Kierkegaard was anti-German. But this is clearly not the case since he had high praise for some German thinkers such as Hamann, Lessing and Trendelenburg. The present work is dedicated to an exploration of Kierkegaard’s relation to different aspects of Germanophone culture. Its goal is to gain a better appreciation of the importance of the various German sources for his thought. The points of contact are so numerous that it can truly be said that if it were not for the influence of German culture, Kierkegaard would not have been Kierkegaard and the Danish Golden Age would not have been the Golden Age. 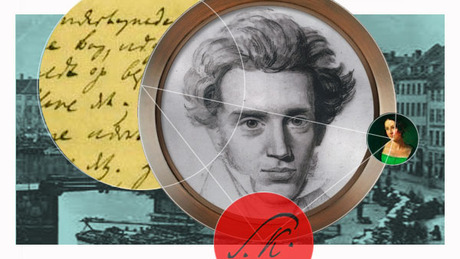 "This text leaves the reader with an entirely new perspective on Kierkegaard. Of course, Kierkegaard readers knew that the Dane was in dialogue with Hegel and that he occasionally refers to German theologians or literary figures, but the vast scope of this usage has gone unnoticed. 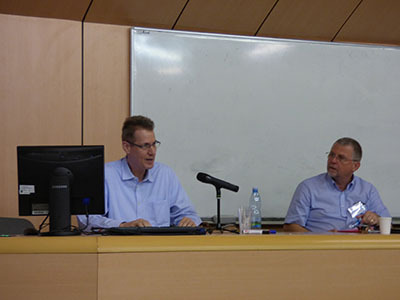 Stewart demonstrates beyond a doubt that virtually all of Kierkegaard’s writings and indeed his academic agenda itself were in some way shaped by German thought. Indeed, Kierkegaard would never have been the thinker that he was without his interaction with the German intellectual tradition. This is an exciting new perspective that breaks with traditional wisdom....Jon Stewart’s new book Faust, Romantic Irony, and System: German Culture in the Thought of Søren Kierkegaard is of a very high academic standard, and it contributes in many respects new insights and promising perspectives to research in the field. The work will be highly relevant not only for researchers and scholars but for the general reader too." "The Scandinavian countries have long been receptive to cultural currents flowing northward from the south. This has been especially the case as concerns Denmark in its relation to German culture, and this influx of ideas was particularly intense during the Danish Golden Age. 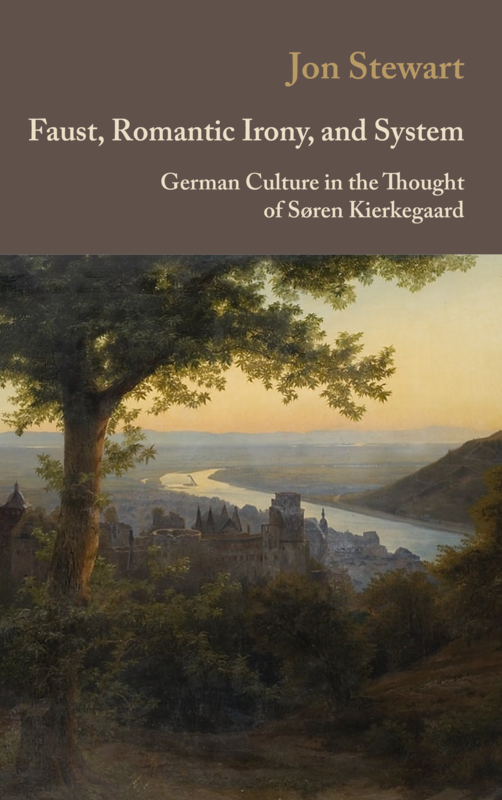 Stewart’s manuscript covers a broad swath of these influences in exploring Kierkegaard’s entanglement in various aspects of Germanophone culture. 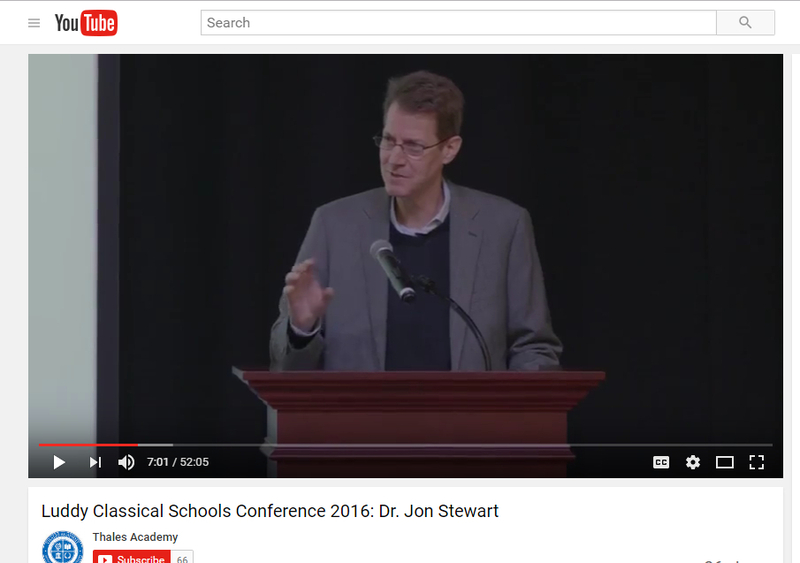 Stewart’s work intends to cultivate greater appreciation of the significance of these sources for Kierkegaard’s creative work. 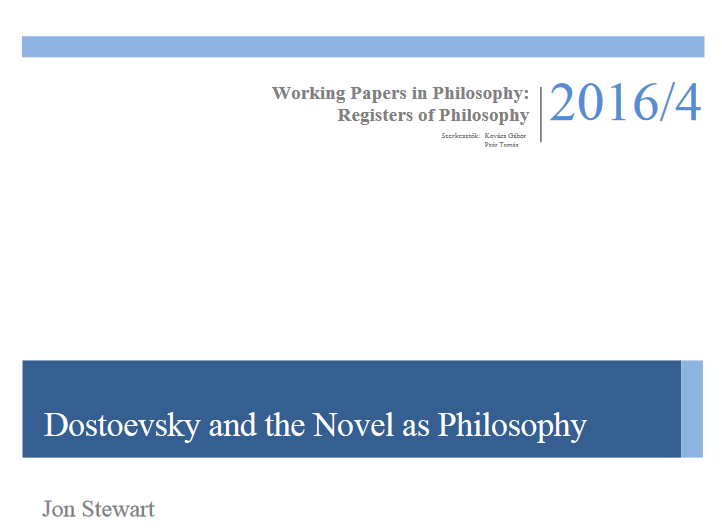 Therefore, source work research is the functioning methodology that has allowed Stewart to identify the nature, scope, and extent of effects streaming from particular authors, writings, topics, and issues to shape Kierkegaard’s deliberations.....In every chapter the probing into the subject matter runs deep. Generally, the reader learns much about the social location of each author considered, the primary writings this figure has produced, major themes that have been addressed, Kierkegaard’s awareness of the figure, writings, and themes, and ways in which Kierkegaard was influenced by them. The highest level of scholarship informs all of these queries. An unsurpassed level of academic excellence is at work in the employment of the chosen research methodology, in the careful textual analysis of writings influencing and influenced, in the lucid articulation of the findings, and in the steadfast pursuit of carrying out the investigation in a purposeful manner." See the new homepage for the series Texts from Golden Age Denmark here. See the new homepage for the series Danish Golden Age Studies here. 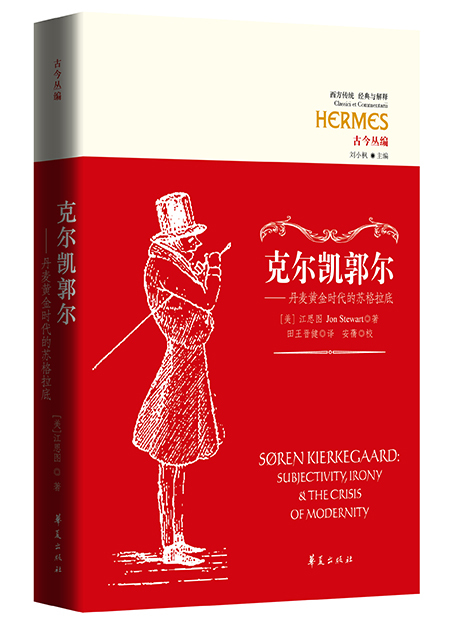 The book Søren Kierkegaard: Subjectivity, Irony, and the Crisis of Modernity (Oxford: Oxford University Press 2015) has recently appeared in a Portuguese translation. trans. by Humberto Araújo Quaglio de Souza, Petrópolis RJ: Editora Vozes 2017. After more than a decade of work, the series Kierkegaard Research: Sources, Reception and Resources has now been completed. The first tome of the series was published back in 2007, and now with the publication of volume 21, the three-tome Cumulative Index, the series is finally finished. In all, the series contains 58 individual tomes and a total of 1127 articles by more than 200 Kierkegaard scholars from around the world. From 2007 until 2015 Kierkegaard Research: Sources, Reception and Resources was published by Ashgate Publishing (Aldershot). The final volumes of the series that appeared in 2016 and 2017 were published by Ashgate’s successor, Routledge, Taylor & Francis Group (London and New York). In this course we will explore how Kierkegaard deals with the problems associated with relativism, the lack of meaning and the undermining of religious faith that are typical of modern life. His penetrating analyses are still highly relevant today and have been seen as insightful for the leading figures of Existentialism, Post-Structuralism and Post-Modernism. To date more than 70,000 students from around the world have been involved in the course. The course is absolutely free of charge. No prior knowledge is required. 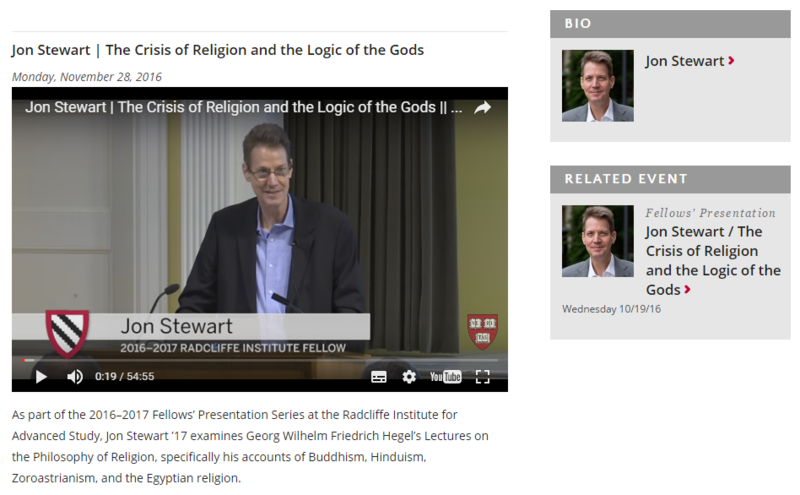 The course can now be taken on an on-demand basis, and thus students can start at any time and can follow the video lectures at their own pace. In his Lectures on the Philosophy of Religion, Hegel treats the religions of the world under the rubric “the determinate religion.” This is a part of his corpus that has traditionally been neglected since scholars have struggled to understand what philosophical work it is supposed to do. The present study argues that Hegel’s rich analyses of Buddhism, Hinduism, Zoroastrianism, Judaism, Egyptian and Greek polytheism, and the Roman religion are not simply irrelevant historical material, as is often thought. Instead, they play a central role in Hegel’s argument for what he regards as the truth of Christianity. Hegel believes that the different conceptions of the gods in the world religions are reflections of individual peoples at specific periods in history. These conceptions might at first glance appear random and chaotic, but there is, Hegel claims, a discernible logic in them. 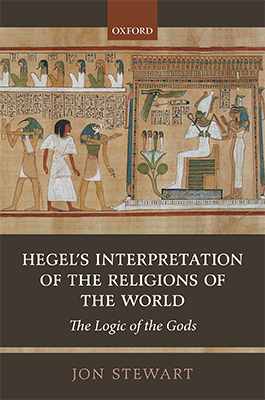 Simultaneously a theory of mythology, history and philosophical anthropology, Hegel’s account of the world religions goes far beyond the field of philosophy of religion. The controversial issues surrounding his treatment of the nonEuropean religions are still very much with us today and make his account of religion an issue of continued topicality in the academic landscape of the 21st century. 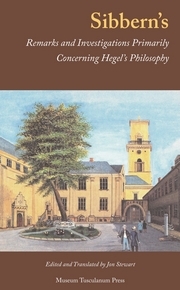 "Hegel's Interpretation of the Religions of the World is a thorough study of a neglected aspect of Georg Wilhelm Friedrich Hegel’s philosophy of religion: the role of history in Hegel’s overall philosophical construction. . . . Stewart’s book must be regarded as an extremely valuable piece of scholarship for both philosophers of religion and—more importantly—scholars of religion." 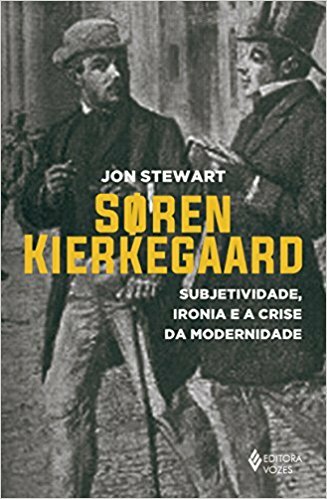 (The Portuguese translation of Søren Kierkegaard: Subjectivity, Irony, and the Crisis of Modernity, Oxford: Oxford University Press 2015). Este livro examina a vida e a obra desse famoso escritor religioso dinamarquês. Kierkegaard foi uma figura singular que tem inspirado, provocado, fascinado e irritado as pessoas desde os tempos em que andava pelas ruas de Copenhague. No fim de sua vida, Kierkegaard afirmou que o único modelo que ele teve para sua obra foi o filósofo grego Sócrates. Este livro faz dessa declaração seu ponto de partida. Jon Stewart investiga o que Kierkegaard quis dizer com essa afirmação, e mostra como diversos aspectos de seus escritos e de sua estratégia argumentativa remontam a Sócrates. Mexico City: Universidad Iberoamericana 2017. 222pp. (The Spanish translation of Søren Kierkegaard: Subjectivity, Irony, and the Crisis of Modernity, Oxford: Oxford University Press 2015). 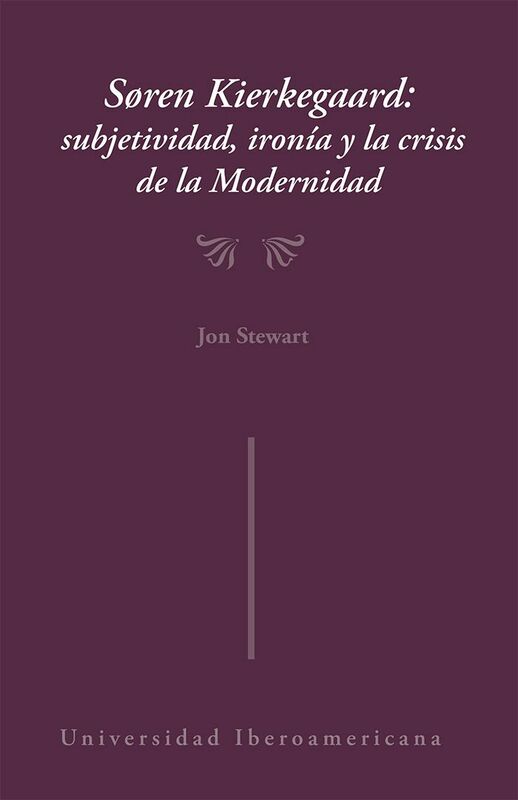 En este libro el profesor Jon Stewart nos introduce en la originalidad filosófica de Kierkegaard por medio del estudio de la génisis de su pensamiento en dos ámbitos complementarios. Por una parte, hace un interesante estudio histórico de la vida intelectual y cultural danesa del siglo XIX, y la forma en que Kierkegaard asimiló y debatió muchas de sus ideas. Por otra parte, destaca la enorme influencia de Sócrates, en aspectos como la comunicación indirecta, el uso de seudónimos, la ironía, su crítica a la filosofía, entre otros. 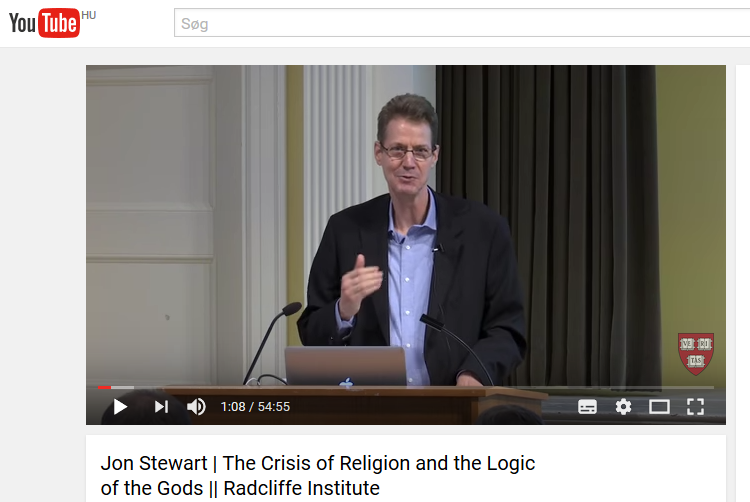 El profesor Jon Stewart es un reconocido especialista del filósofo danés, autor prolijo que ha contribuido como principal editor en los importantes proyectos: Kierkegaard Research y The Golden Age. The present volume aims to end this silence, which has continued after Eiríksson’s death, and it marks the beginning of a serious discussion of Eiríksson’s works and ideas. The articles featured in this anthology are written by international scholars from different fields. With its strategic organization, the collection covers the key topics of Eiríksson’s writings and provides insights into his historical-cultural background. Understanding Eiríksson’s polemics with his Copenhagen contemporaries—such as Hans Lassen Martensen, Henrik Nicolai Clausen, N.F.S. 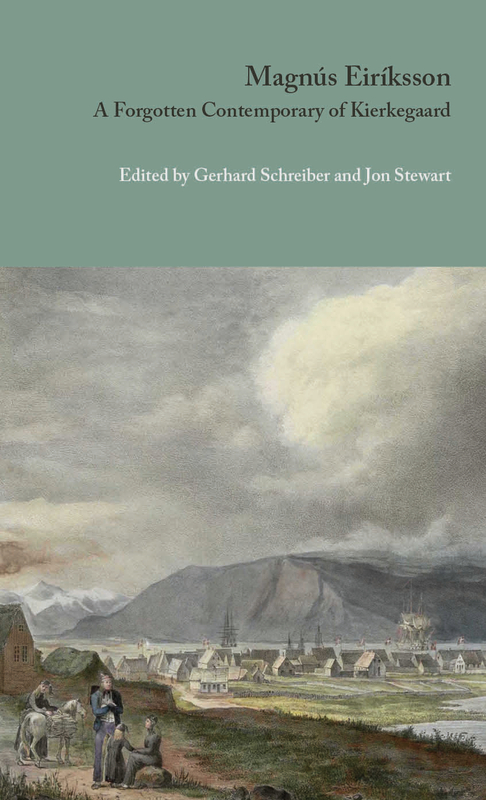 Grundtvig and Søren Kierkegaard—on some of the main theological issues of the day sheds light on the period as a whole and provides a new perspective on the complex and diverse discussions concerning religion in the Golden Age. With its first international bibliography on Eiríksson, an accurate and reliable edition of the auction catalogue of Eiríksson’s private library and its context-sensitive indices, this anthology will be a solid foundation and ideal starting point for any future research on this almost forgotten thinker. Conference of the European Society for Philosophy of Religion: "Philosophy of Religion in a Pluralistic World"
April 26, 2018, 2:15 to 3:45 p.m.
"Hegel’s Theory of the Emergence of Subjectivity and the Development of Human Rights"
The workshop takes place between 1:30 p.m. and 5 p.m.
Minneapolis, Minnesota, May 11-13, 2017. Despite their many interesting debates and polemics, the leading figures of Golden Age Denmark were in agreement about the fact that their age was in a state of crisis. They believed that the quick pace of change since the Enlightenment had led to a sense of alienation from traditional values and ways of thinking. This produced uncertainty that resulted in different forms of relativism, subjectivism and nihilism. The poet-philosopher, Johan Ludvig Heiberg, dramatically announced the great cultural crisis of the day in his treatise On the Significance of Philosophy for the Present Age from 1833. According to Heiberg, people in his generation had lost their belief in truth and beauty in any deeper sense. Likewise, in 1837 the classicist and philosopher, Poul Martin Møller followed this line of thinking in his influential article “Thoughts on the Possibility of Proofs of Human Immortality,” in which he claims that modern scientific and naturalistic thinking has undermined the traditional belief in the immortality of the soul. In this context he too explores the movement of nihilism that he believes characterizes the age. In 1842 the theologian Hans Lassen Martensen published an article entitled “The Present Religious Crisis,” where he argues that much of the uncertainty in religion is the result of the work of, among others, the German theologian David Friedrich Strauss, who argued that Christianity was a form of myth. The philosopher Søren Kierkegaard treated the idea of a cultural and religious crisis in a number of his famous works, such as The Concept of Irony, Either/Or, A Literary Review of Two Ages, and The Moment. Many of the texts from the Golden Age strike the reader as profoundly modern since they seem to anticipate key characteristics of the crisis of the 21st century. In keeping with the conference theme—Nordic Connections: Old and New—we invite papers focused on the Danish Golden Age and its philosophical, literary and artistic heritage that explore the theme of crisis and examine the resemblances between the perils and crises of the Danish Golden Age and those of our own. Read more on the homepage of SASS. Budapest, Hungary, May 14, 2016.